what do you think of this open look? let us know in the comments! 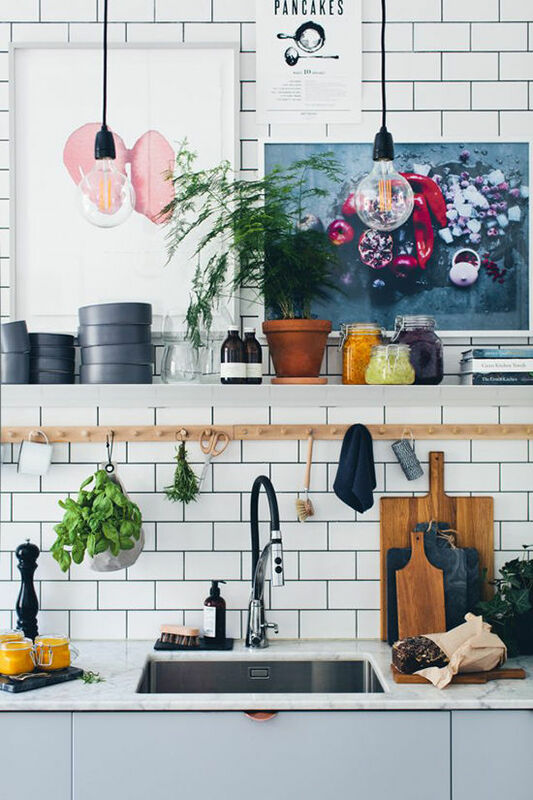 So much ‘future kitchen’ design inspo here! 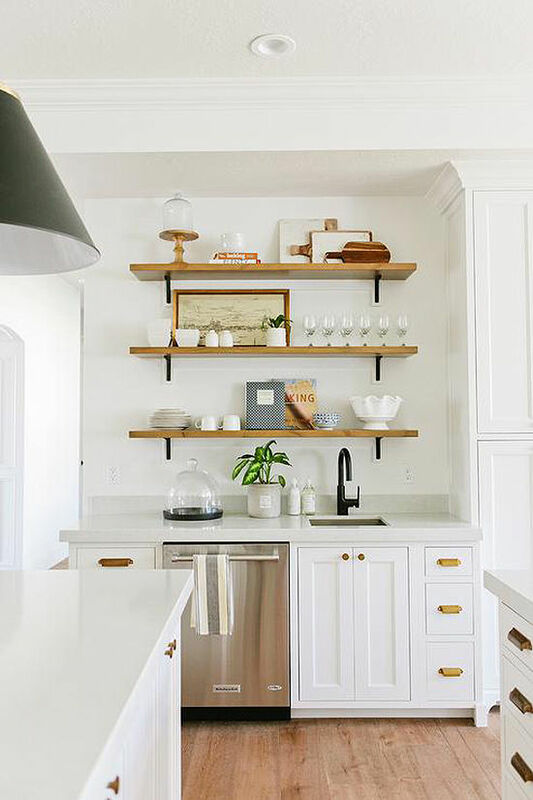 Love the look of open shelving and can’t wait to incorporate them into our future home some day. Though, to be honest, I’m not looking forward to all of the dusting, haha. I am against open shelving! Living in a city with smog and dust! Tired of cleaning shelves every week! 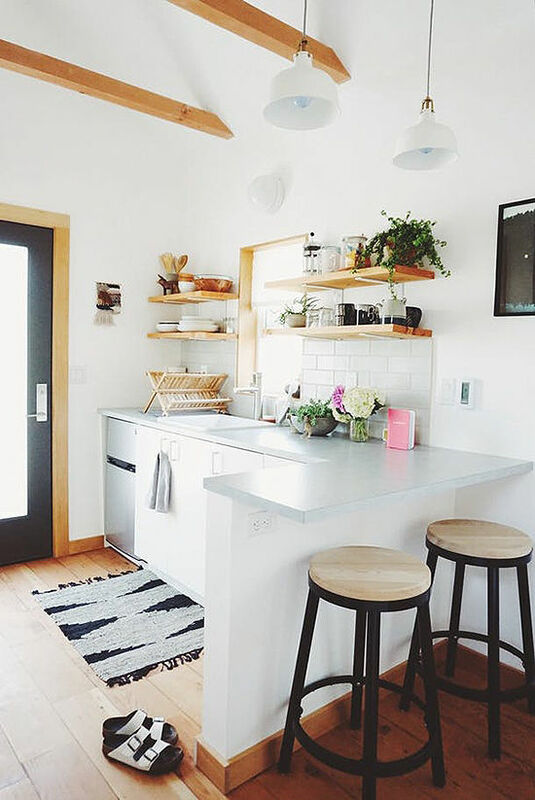 Love that first kitchen! 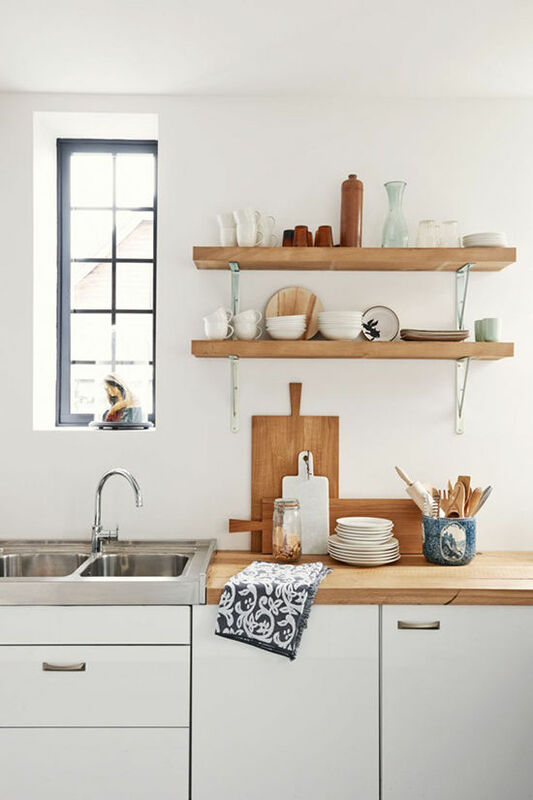 Art in the kitchen was a recent post on Domino (the site I write for). Would love to work with you sometime! 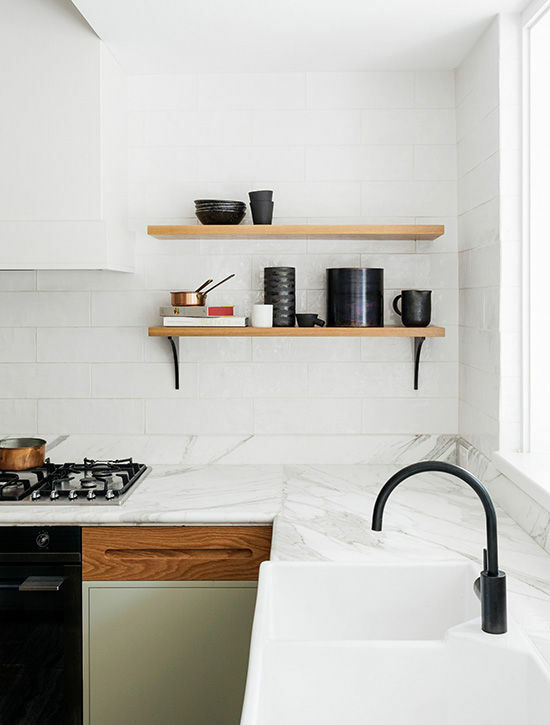 open-faced kitchens add extra storage with a sleek look. I find myself, after many years of being an avid follower of DLF, drifting away from being a follower anymore. The best part of DLF is you and you really have taken yourself out of this site all together. I used to love your life updates and commentary and you had a design style that you stood firmly by and exuded joy. Most of the posts now seem uninspired and like reposts. It’s hard to tell if you are just hiring out the designs and content all together. I hope you are doing well and I really don’t mean to be harsh. I’m just disappointed and want a reason to keep looking. I miss your vision and your unique voice. I suppose it’s time to find inspiration elsewhere. Open shelving always looks clean to me, though my wife likes closed with glass. She and I both love to cook, so easy access is great for me! 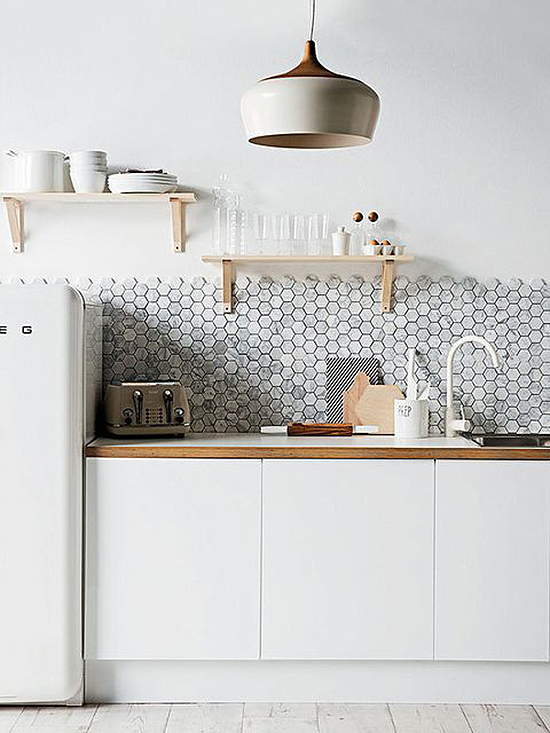 With so much white, we’d be cleaning all the time!